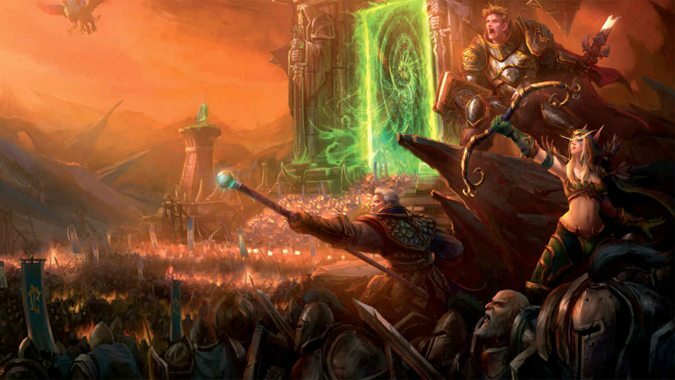 When the first volume of Blizzard’s World of Warcraft: Chronicle series hit the shelves last year, it managed to clarify thousands of years of not just Azeroth’s history, but the entire Warcraft universe. Released earlier this week, the second volume of the collection picks up right where the first book left off. But it also expands that history even further — with some notable changes along the way. Yes, this volume contains some adjustments that could be considered retcons. No, I don’t feel any of them are particularly out of place. Written by Chris Metzen, Matt Burns, and Robert Brooks, World of Warcraft: Chronicle Vol. 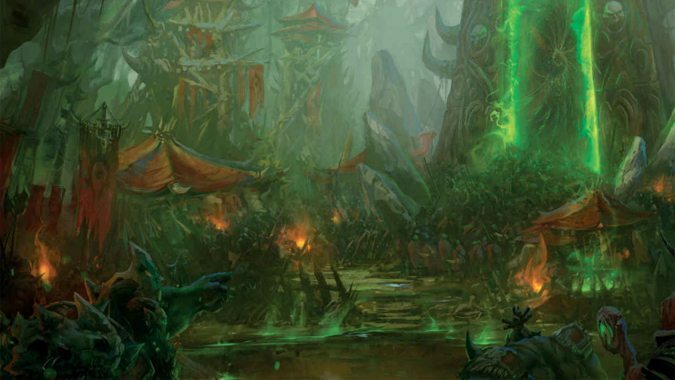 2 begins with a staggering, in-depth look at the history of Draenor. Not just the familiar formation of the Horde — the book goes all the way back to the initial discovery of the world by the Titan Aggramar. All of this is brand-new lore, hinted at in the Warlords of Draenor expansion, but never quite fully explained. Along with the origins of the Breakers/Primals conflict, we get a deep dive into the origins of Draenor’s native races. 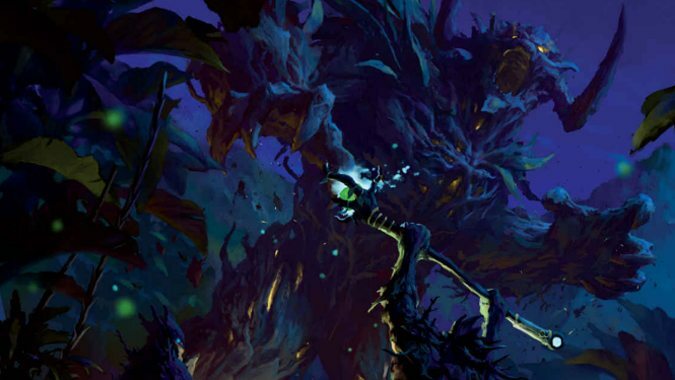 I was hoping we’d see at least a little bit about arakkoa civilization and was pleasantly surprised to find the entire history of the species, from their unusual origins to their gods to the rise of the Apexis to the civilization’s eventual fall. But the arakkoa aren’t the only ones getting the Chronicle treatment. Also featured in Draenor’s history are the Ogres, the Orcs, the Gronn, the Botani, the Magnaron — you get the picture. By the end of it all, I knew more about Draenor than Warlords could ever have hoped to teach me. And the best part? That was just the first half of the book. The second half of the book is entirely dedicated to the First and Second wars. It also includes the Alliance Expedition’s fateful journey through the Dark Portal after the Second War had ended. While there are already several novels available surrounding those particular stories, Chronicle avoids simply re-hashing what happened in the books in favor of weaving the various novels together into a cohesive whole. The end result is a book that isn’t a re-telling of familiar favorites. It’s an encyclopedia that pulls them all together. In Chronicle, you learn who was where at what point in time. But for a complete picture of that event in history from the perspective of one who lived through it, you’ll still want to grab the novels themselves. I’m happy to see that — you don’t want one comprehensive book to devalue an entire library of fiction written by a stable of talented authors over the years. However, this means that Chronicle is a very dry read if you’re not invested in lore. Readers aren’t going to be swept up in the emotion of the time period, they’re going to be learning history. For some people, that may not be as entertaining a concept as reading about the adventures of Turalyon, Khadgar, and the rest of the Alliance Expedition from the pens of Aaron Rosenberg and Christie Golden. But if you’re interested in an in-depth, comprehensive dive into the history of the Warcraft universe, Chronicle Vol. 2 is as much a must-read as its predecessor, if not more so. In Volume 2, the history of the universe finally catches up with the modern day history from the beloved RTS games. But as we surmised in the last episode of Lore Watch, this edition of Chronicle doesn’t quite make it to the Third War. And that means we’re due for a third volume at some point in the future. Chronicle is not without its retcons and corrections. Some welcome additions have made their way into Azeroth’s history, and some major changes have been made. 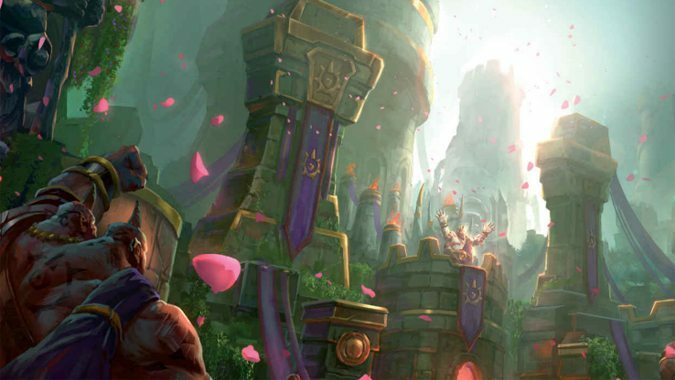 We won’t really know until Volume 3 — or possibly even Volume 4, if we see one — but as it stands it appears that substantial chunks of the Warcraft comics series may no longer be canon. We’ll have to wait and see just how far these changes reach. That’s the thing about Chronicle. It’s not just giving us the history of Azeroth. It’s giving the lore team an opportunity to sit down and iron out all the little wrinkles that have sprung up over 20 years worth of storytelling. The end result is a history that has yes, changed in little bits and pieces. But not so much as to be a completely different story than the one we’re already familiar with and love. If you were a fan of Chronicle Volume 1, you’re automatically going to love Volume 2. If you’re looking for a deep dive into the lore behind the original RTS games, the second book is a must. Metzen, Burns, and Brooks have turned out a sequel that is every bit as enthralling as the first. Joseph LaCroix and Peter Lee return with more maps and gorgeous illustrations, joined this time around by Emily Chen, Stanton Feng, Alex Horley, Sean Sevestre, Abe Taraky, and Wei Wang. You can pick up your copy of World of Warcraft: Chronicle Volume 2 on Amazon, available in both hardcover and ebook formats.